My step dad loves this recipe for shortbread cookies and I agree they’re both delicious and addictive (translation: fattening). 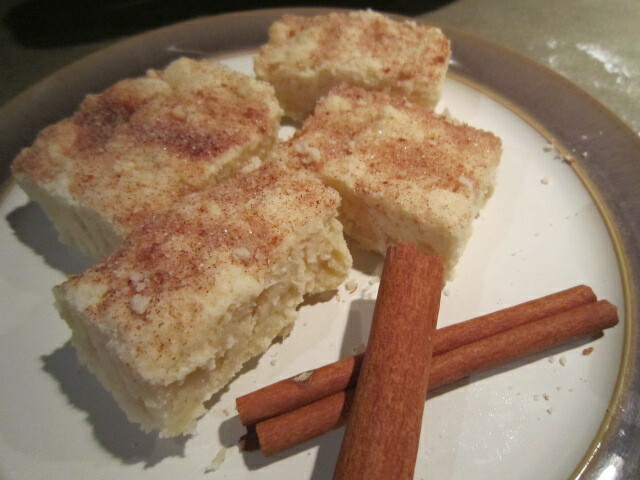 If you enjoy this recipe, also take a look at my mom’s cinnamon shortbread square recipe. 3. Roll dough 1/2 inch thick on lightly floured surface. Cut into shapes by hand. Place 1/2 inch apart on ungreased cookie sheet. 4. Bake about 20 minutes or until set. Remove from sheet to let cool.